Every year we poll the NaturallyCurly community on the curly hair products and tools that have achieved Holy Grail status for them. We don't prompt you with certain brands or products - this is purely the unfiltered opinions of thousands of curlies. As a NaturallyCurly Editor, I eagerly await Best of the Best announcements each year because I see it as a chance to get to know your regimens and bathroom cabinets. These are the most popular curly hair products of 2017, and the reasons why you love them. When it comes to curl shampoos, we're most interested in what they DON'T do. Curlies expect them not to dry us out, leave our hair feeling stripped or squeaky clean, or make our detangling process even more difficult than it already is. This Mielle Organics Shampoo is sulfate-free, color safe, contains strengthening proteins, and even helps with conditioning. 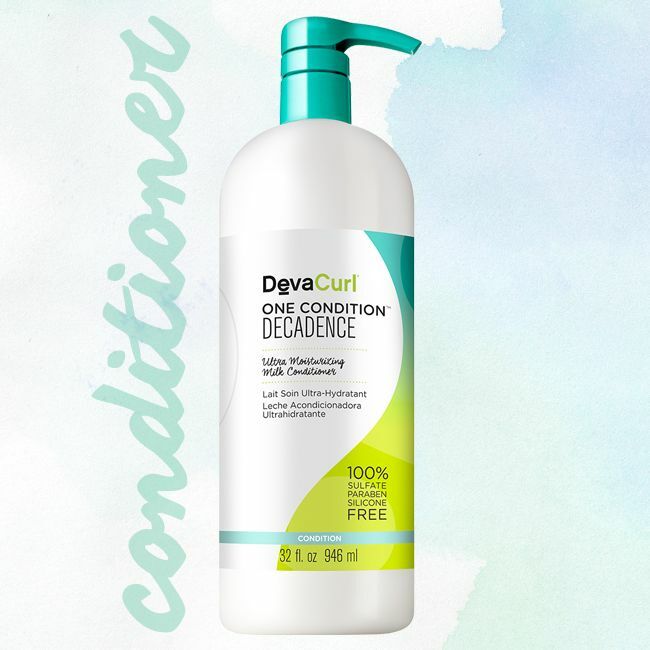 The original DevaCurl One Condition is a mainstay conditioner in the curly world, so they had big shoes to fill when they released their new Decadence and Delight lines in 2016. Judging by this year's winning conditioner, Decadence met and exceeded expectations. "After one use of this conditioner, it was all love! This conditioner is perfect for use on all types of textured hair, especially individuals who have textured hair that is dry or very dry. And, even though it doesn't say that it can be used as a DC, I do use it with heat to DC with and it provides phenominal results. Now, when it comes to the smell of this product, I swear it smells like some type of laundry detergent. However the smell us not a huge deterrent from my stopping usage of this product at all. In regards to my hair, I have a naturally loose curl pattern (I do not hair type), my hair is naturally very dry, fine textured, low density, and is of high porosity as well. However, I highly recommend trying this conditioner no matter what type of curl pattern, hair texture, hair density, or hair porosity, you may have. As, this conditioner will be one that you will never want to stop using, after you try it!" - S.W. Slip is a must-have on a curly girl's shopping checklist, and this DC checks that box. 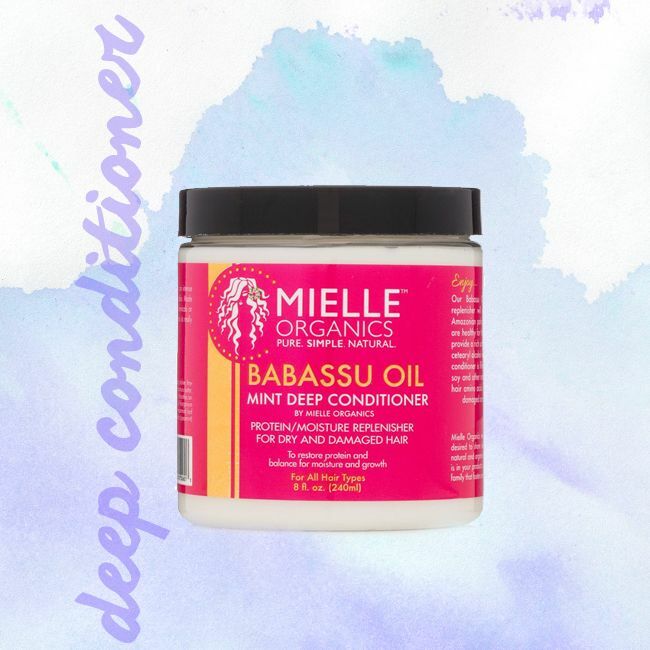 Community members like that this Mielle Organics DC leaves their hair feeling soft and makes the job of detangling much easier. We all want moisture, but nobody wants their hair to be weighed down with product. This Mielle Organics Leave-In is a lightweight product that will give you just the right amount of hydration. "I really like this leave-in. Helps moisturize, detangle, and soften my hair without giving it an oily/greasy feeling." - Dana P.
"This leave in was great left my hair hydrated! Will definitely purchase again" - Venita A. Now that your hair is well-moisturized, it's time to lock in that curl definition without leaving behind a hard cast. This Curly Hair Solutions Curl Keeper is a long-time favorite for its liquid-y formula that wards off frizz. "Defines my curls like no other product. Understand that it will dry crunchy but when you shake Out your hair it softens but keeps the definition. I have since bought a liter as I use a lot!" – Nancy W.
I have heard NaturallyCurly Editors raving about this oil, so I was not surprised to see this won a Best of the Best award. Whether you follow the LOC method or for your daily scalp massage, the curly community is loving this minty oil. Styling tools can be a controversial topic in the curly community. While some people swear by their brush or comb, others hate the breakage that can come with them. It seems you have come to a curly consensus over the Denman Brush for its ability to define your curls and coils in the styling process. While this product has "Twisting" in the name, naturals love it for both wash and gos and twist outs. You want styling puddings, custards and butters to give your style long-lasting definition and moisture without the strong hold of a gel or cream gel, and this Camille Rose Naturals Twisting Butter does that like no other. "I NEVER leave reviews as products for the most part in my experience have been mediocre at best, but when I tell you this product does it for me it truly does! I have never had hydrated smooth and shiny curls via twist out for so long with ANY other product! I have a mixture of 4a,b&c hair...beautiful curls when wet, but a tangled, wirey mess when dry. This stuff remedies all of that!! It also helped there was a discount offered through this site..Worth every penny! I will definitely be buying again!" – Martina B. "Love this stuff!! A new holy grail for me for sure. Rarely does a hair product blow me away, but this stuff does it all. It detangles, defines, moisturizes, has great ingredients, and smells amazing. I think the price is reasonable as well. I use it for both wash and go's and twists/twist outs. I have already repurchased and I will continue to do so." - Marley F.
An effective styling product can make or break your wash and go, so we know you take this product category seriously. There's a fine balance between definition and crunch, and this Mielle Organics gel has nailed it. "No other gel I've ever used leaves my hair as smooth and touchable as this" – Tonya J. You can find these reviews and many more on SHOP. There were 28 awards voted on by the community, and this is just 9 of them. You can discover the rest of the Best of the Best winners here. Do you agree with these winners? Let us know what you think in the comments!